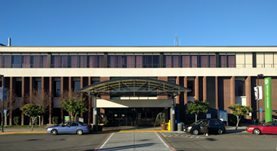 Dr. Archan Shah is a pulmonologist based in Roseville, California. He has been in practice for the past two decades. Dr. Shah graduated from the Mahatma Gandhi Mission's Medical College in Mumbai, India. He completed his residency at the Baystate Medical Center in Springfield and two fellowship training at University of Texas M D Anderson Cancer Center and Houston and Tufts Medical Center in Boston. He is a board-certified specialist in Internal medicine, Critical Care Medicine, and Pulmonary Disease. Dr. Shah is a member of the following professional organizations: the American Thoracic Society, the American College of Chest Physicians, the American Association of Bronchology and Interventional Pulmonology. 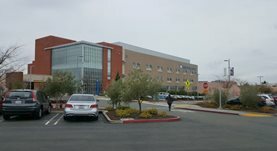 He collaborates with the Kaiser Permanente Roseville Medical Center and the Kaiser Permanente Sacramento Medical Center. Dr. Archan Shah has contributed to 2 publications. Airway Stenting and Tracheobronchoplasty Improve Respiratory Symptoms in Mounier-Kuhn Syndrome. Odell, D.D., Shah, A.M., Gangadharan, S.P., Majid, A., Michaud, G., Herth, F.F., Ernst, A.; Chest. 2011 Oct.
Choriocarcinoma in an AIDS patient--relapsing but not fatal. Shah, A. M.,Tidswell, M.,Prefontaine, M.,Skiest, D. J.,Pantanowitz, L.; Int J STD AIDS. 2008 Jun 25.